5 Commercial Real Estate & Properties in Fairfield are listed in 2 categories. We have 3 OfficesLease and 2 Retail ShopsLease . Fitted And Furnished | Natural Light | Free Parking $1055pw | 15 Person Works..
PROPERTY OVERVIEW $1055pw Price incl. 2 large brand new photocopiers Lounges x 3 Reception desk Boardroom table x 8 chairs Tv with multimedia connection Some desks and chairs x matching grey Wood to boardroom It’s bowermans furniture worth 50k Also some double sided desks as shown x 2 10 offices, huge boardroom, kitchen, storage and computer server room, private access bathroom. Intercom access and large reception area, 10 secure car parking spaces, alarmed premises and main road exposure! Recently painted and ready To move in. lift access to the office on level 1. Perfect for a large legal firm, accounting firm or recruitment firm! Very secure and private office space! 3 have full size windows and all offices are very generous size! Space in the middle for 6 8 desks and large reception area. Lease the whole side of the 381 sqm office level for $10000 per month plus outgoings (telephone and electricity) or individual offices from $990 per month including gst for 6 months, a 1 year or 2 year lease. Opportunity to renew for another 5 years if r equired. Also have plenty of beautiful custom made office furniture such as desks, drawers, chairs, boardroom items, credenza, lounges and reception furniture. The advertised office space is perfect for a team of 15. If you need more or less space, we have over 30,000 furnished workspaces all over the world suitable for a team of 1 to 200+. Our award winning team offer a free service that will help you find the perfect solution for your needs, so reach out if you need more help. What you get for your weekly rent , 5 (2 3 person) private offices + access to all shared space , 24/7 Access , 24/7 Security , Access to internal breakout areas , Access to kitchen facilities , A fully furnished office suite , Building outgoings included , Flexible terms , Regular cleaning , Internet not included Building features , 5 x carpark included in the price , Abundance of natural light , Air conditioning , Car parking in building (Free) , Dedicated men and ladies bathrooms , Direct access to public transport , Professional working environment 95m to Neeta City Shopping Centre 96m to bus stops on Court Road 300m to Fairfield Railway Station 400m to Anytime Fitness & Plus Fitness 600m to Fairfield Forum Shopping Centre Who is Office Hub? Office Hub is the world\'s No.1 marketplace for office space. We have a huge global selection of coworking spaces, serviced offices and shared office spaces with flexible options to suit teams from 1 200 people. We\'ll take you on a tour of all the workspaces that fit your needs and work on your behalf to get the best price possible. We\'ll help you discover how shared office space can be the most beneficial and budget friendly solution for your business. www.office hub.com Conditions apply – the advertised price includes any incentives offered based on a 12 month agreement and is available to new tenants only. Please note that the rental rate may increase for a shorter rental period. A portion of the square meterage factors in access to shared space. Excellent Lighting | Quality Furnishings | Fitted And Furnished $2110pw | 30 Person Works..
PROPERTY OVERVIEW $2110pw Price incl. 2 large brand new photocopiers Lounges x 3 Reception desk Boardroom table x 8 chairs Tv with multimedia connection Some desks and chairs x matching grey Wood to boardroom It’s bowermans furniture worth 50k Also some double sided desks as shown x 2 10 offices, huge boardroom, kitchen, storage and computer server room, private access bathroom. Intercom access and large reception area, 10 secure car parking spaces, alarmed premises and main road exposure! Recently painted and ready To move in. lift access to the office on level 1. Perfect for a large legal firm, accounting firm or recruitment firm! Very secure and private office space! 3 have full size windows and all offices are very generous size! Space in the middle for 6 8 desks and large reception area. Lease the whole side of the 381 sqm office level for $10000 per month plus outgoings (telephone and electricity) or individual offices from $990 per month including gst for 6 months, a 1 year or 2 year lease. Opportunity to renew for another 5 years if r equired. Also have plenty of beautiful custom made office furniture such as desks, drawers, chairs, boardroom items, credenza, lounges and reception furniture. The advertised office space is perfect for a team of 30. If you need more or less space, we have over 30,000 furnished workspaces all over the world suitable for a team of 1 to 200+. Our award winning team offer a free service that will help you find the perfect solution for your needs, so reach out if you need more help. What you get for your weekly rent , 10 (2 3 person) offices + 6 8 dedicated desks in a open plan environment , 24/7 Access , 24/7 Security , Access to internal breakout areas , Access to kitchen facilities , A fully furnished office suite , Building outgoings included , Flexible terms , Regular cleaning , Internet not included Building features , 10 x carpark included in the price , Abundance of natural light , Air conditioning , Car parking in building (Free) , Dedicated men and ladies bathrooms , Direct access to public transport , Professional working environment 95m to Neeta City Shopping Centre 96m to bus stops on Court Road 300m to Fairfield Railway Station 400m to Anytime Fitness & Plus Fitness 600m to Fairfield Forum Shopping Centre Who is Office Hub? Office Hub is the world\'s No.1 marketplace for office space. We have a huge global selection of coworking spaces, serviced offices and shared office spaces with flexible options to suit teams from 1 200 people. We\'ll take you on a tour of all the workspaces that fit your needs and work on your behalf to get the best price possible. We\'ll help you discover how shared office space can be the most beneficial and budget friendly solution for your business. www.office hub.com Conditions apply – the advertised price includes any incentives offered based on a 12 month agreement and is available to new tenants only. Please note that the rental rate may increase for a shorter rental period. A portion of the square meterage factors in access to shared space. Shop Across The Road From Fairfield Station Contact Agent - Deal to ..
Shop for lease within the Fairfield CBD, just across the road from the train station and bus network. Located on the Crescent among other retailers, offices and cafes. 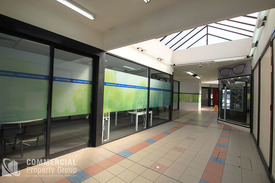 Shop area 200m2 Shop located within a busy arcade, enjoy excellent exposure from foot traffic walking by. Contact Mitchell Owen 0401 451 889, to arrange an inspection. 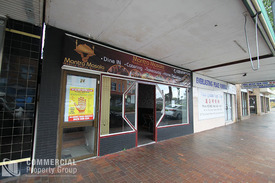 Located on the second level in the heart of Fairfield CBD. These feature well presented foyer areas, carpeted throughout, previously fitted out for an Architectural business. Suite 5 115m2 (approx) Suite 7 135m2 (approx), multiple car spaces in a secured car park. These suites would be great for a well established business! !